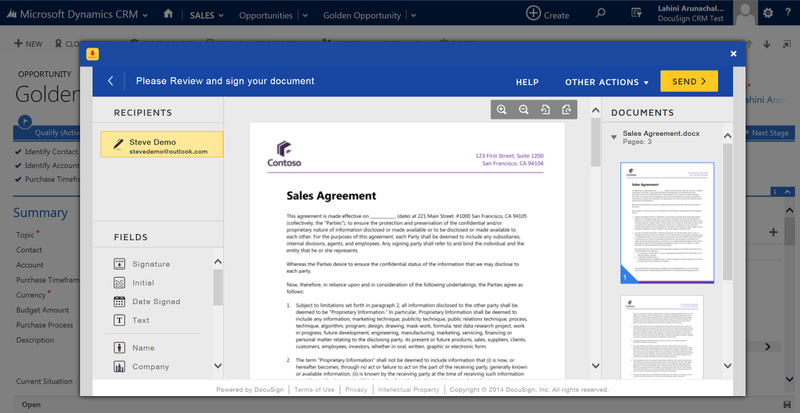 DocuSign for Dynamics 365 CRM allows users to quickly get signatures or sign documents from anywhere in Dynamics CRM. 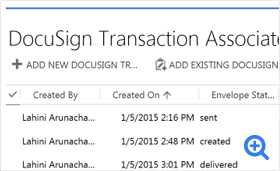 Signing or getting signatures on a document is simple using DocuSign for Dynamics 365 CRM. 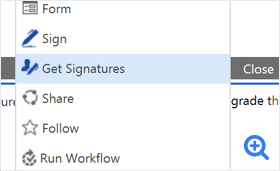 The “Sign” and “Get Signatures" actions are preconfigured, allowing you to easily send or sign a document stored in DocuSign for Dynamics 365 CRM, pre-populated with appropriate recipient information. 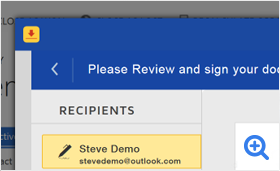 DocuSign for Dynamics 365 CRM provides an audit trail of edits and notifies every signer when a document is changed – giving your users visibility into the entire process. 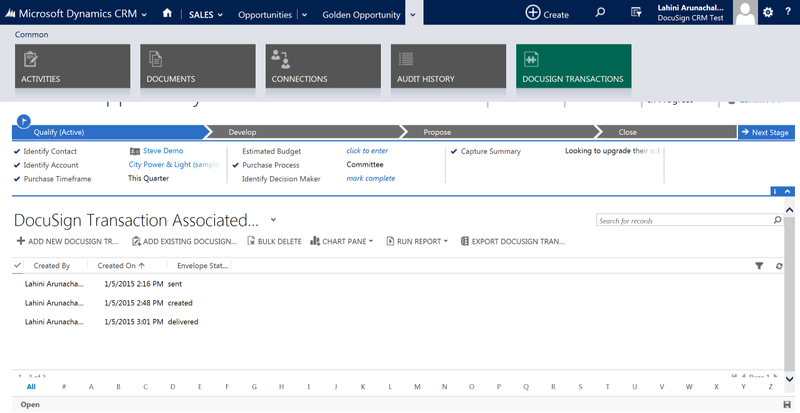 Created with sales departments in mind, DocuSign for Dynamics 365 CRM helps you close business faster. Route contracts to the people you choose, allowing decision makers to review and approve contracts within minutes. Signed agreements are legally binding and backed by a court-admissible audit trail. 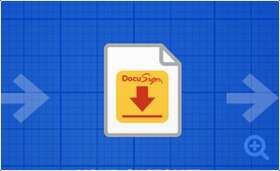 DocuSign for Dynamics 365 CRM is a platform designed and built for flexibility. It can be configured and customized to integrate with most business processes. 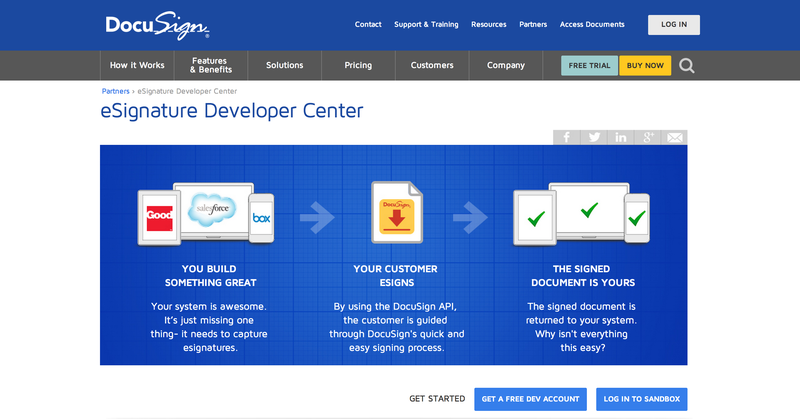 DocuSign ships a complete set of APIs along with documentation and world-class SDK. 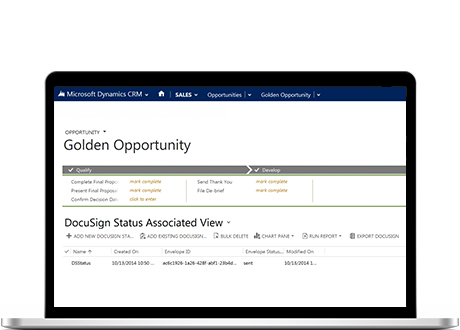 DocuSign for Dynamics 365 CRM is designed to work with Dynamics CRM Online.